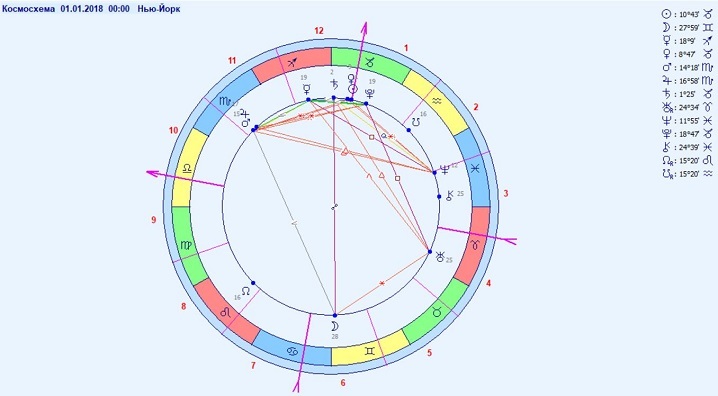 When looking at the space chart of the New Year day, the situation of the so called “Parade of planets” becomes immediately visible. Almost all planets of the solar system are placed on it within a rather narrow, only 120 degrees wide sector of Zodiac in the signs of its synthetic, evolutionary half – between Scorpio and Pisces, and the biggest concentration of them occurs in Capricorn. Meanwhile, both “social” planets – Jupiter and Saturn – are approaching the “higher” ones – Uranus, Neptune and Pluto, which corresponds to the deepest local minimum of the Ganeaus graph. This means that mankind has entered the deepest phase of the current global crisis that will continue until 2021. It is the conclusion of the old era, synthesis of all the experience collected during it by mankind and the end of the contemporary world as it is familiar to us. However, horizons of the new world that is coming are getting visible more and more clearly – they are indicated by Uranus in Aries who alone does not match the pattern of other planets and leads us into the future. 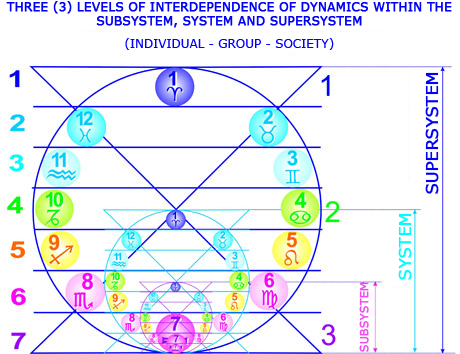 Concentration of planets in the evolutionary hemisphere of the Zodiac also means that special energies are teaching us to live not for “the beloved us own” but mostly for the surrounding world by serving its harmonization and development. The most important conclusion from the current configuration of planets is the necessity of unity and collaboration between people and nations in all scales from the smallest family collective to the whole global civilization. Only peace, unity, collaboration and mutual help will be able to save our world from the approaching catastrophe, and the stars in the space are telling us clearly about that right now. However, even though 2018 may be a very hard and challenging year globally, it promises positive opportunities for our individual development because Sun and Venus in conjunction with each other form the summit of the harmonious bissextile configuration with Mars, Jupiter and Neptune. It means that following higher humanistic and evolutionary values, active collective collaboration for the social prosperity, forming the progressive world vision based on the laws of Nature and its active social promotion will guarantee us harmonious personal growth and development, realization of our plans and projects and achieving of wanted results during the year. However, the placement of the basis of this configuration in the “sacrificing” Zodiac signs of Scorpio and Pisces belonging to the Water element will require us to be ready to sacrifice our imperfect past and give up our experience that contradicts the evolution but that we are still holding on to. Let’s now characterize the positions of planets in the Zodiac during the whole year 2018. Three “higher” planets discovered by science already during the modern age – Uranus, Neptune and Pluto – are responsible for common global trends and strategy of the mankind development. Their current placement was established in 2011 and did not change during the past 7 years, but in 2018 it will finally change – Uranus will first time in its current cycle change its Zodiac sign from Aries to Taurus. It means that the program of the transition of mankind to the new era of Aquarius this year will be extended with a new influence. Pluto in Capricorn verifies if achievements of the modern civilization correspond to the predestination of humanity that is harmonization of life on Earth and creation of the new, more advanced forms of relationships between Man and Nature. This position of Pluto radically challenges all global systems and national structures which are the base of the contemporary civilization – these include states, social institutions and economic mechanisms. All of those which contradict with the global program of the planetary evolution or prevent its execution will be destroyed without pity. Therefore, mankind should still be ready for serious disruptions and drastic changes in all aspects of life, including economy and politics. Geopolitical conflicts and tensions started in 2014 will continue to exist and may even grow stronger with the deepening of the global economic crisis. Moreover, natural disasters and catastrophes are also quite probable. Assuming that, all people should clearly concise their interrelationships and dependencies between each other and with Nature by taking their own share of responsibility of the fate of the world. However, total destruction of the current socio-political formation with the following rebuilding of the new one instead of it “from scratch” is not likely to happen at least until 2023/2024. Neptune is currently in Pisces – in its own, “native” Zodiac, which means that its current position is the strongest in 150 years. Here Neptune inspires the humanity with the highest ideals and values, charges it with the belief in the triumph of the Light and helps to open and develop the sensitivity to the surrounding world. However, the strong position of any planet means activization of its both positive and negative influences. For one part of mankind it means that the whole surrounding space will be filled with the waves of love, empathy and creational inspiration, but the other part risks to become even more disconnected from reality (by using alcohol or narcotics, or by moving to virtual network reality), and finally get lost in illusions and addictions. Of course, the choice of either of these extremes or in between them depends on the level of mindfulness and strategic orientation of every single person. 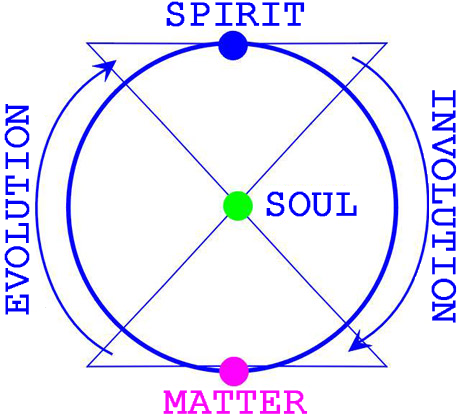 We always need to remember about common human spiritual values and construct the harmonious hierarchy of relationships with the surrounding world being guided by the knowledge of the universal principles of evolution. It can be also expected that some new global ideology (like, for example, communism in the past) that will be influencing and determining the development of human thinking and culture during the next 150 years will be formulated before 2025. Uranus in Aries actively leads the mankind into the new era of Aquarius. It inspires people with new genial and non-standard ideas and literally forces us to face the future. All these news and changes are brought into our lives extremely intensively, impulsively and forcefully, just like fire or explosion. Unfortunately, it usually happens in a revolutionary and disharmonious way, by increasing the chaos and “removing the ground from under our feet”. Sometimes the conservative opposition against these new ideas and energies is so strong that it can be overpowered only by disruptions, revolutions and protests. Military conflicts, revolutions and terrorism are still quite probable in many countries and regions in 2018. In such a turbulent flow it is very difficult to keep the correct orientation and direction of the movement, and therefore some people start to fear the changes and lock inside themselves to avoid new influences and challenges. But this type of reaction means the stuck in development and even less harmony and happiness in the future which cannot be avoided anyway. Therefore, all people should be as open to new ideas, energies and processes as they can and not be afraid of new and non-standard situations and solutions, bravely dream of the future and create it in their own lives. Unfortunately, this period has brought the world to the crisis with bloody revolutions, wars and terror in Arabic countries and even in Ukraine, and the rise of the global instability back to the level of the Cold war. But fortunately, mankind is still far more away from the new world war than it has been then. Uranus will start and end the year still in Aries, but the main celestial event of this year will be its first, short-term ingression into Taurus which starts on 15.5 and ends on 6.11. Uranus is weakened in Taurus – indeed, this highly spiritual by nature planet that brings cardinal changes and innovations feels too restricted in that sign which is very much bound down to the earth and whose main intention is to collect resources and values. The rough matter is very inert and hardly agrees to be innovated – first it opposes against it, but later some kind of harsh and turbulent breakthrough (like, for example, electric shortage) occurs and it suddenly and very drastically moves to the new state with corresponding disruptive and destructive processes. This means that changes during summer and autumn may be in the beginning completely unnoticed but then occur very suddenly and unexpectedly. To make them more fluent and harmonious, mankind should always keep the spiritual connection channel alive by means of meditative work on protection circles and domes of Light. However, the weakness of Uranus in Taurus also has its positive side – changes in the worlds will become more quiet and predictable than before, and we will have more time to get prepared to them. Anyway, based on studies of history, during years 2018-2026 we can expect the high level of sharp tensions between the great world powers, and worldwide rise of totalitarian dictate and repressions inside nations. As the worst-case scenario, the new world war is not totally excluded, even though its probability is extremely low. The square aspect between Uranus and Pluto will disappear in 2018 – it will take effect only until mid-April and never be exact anymore. It means that the impulse that oriented the humanity towards the hard but effective evolutionary work for renewing and improving itself and the world will become weaker and then disappear at all. The celestial forces have done their job and given us the lesson, but mankind should further act on its own. The events of the following years will show how well this lesson was learned – if mankind is able to independently control processes of its improvement and transformation or not. In the history, this aspect also used to rise the tensions between East and West, and it also happened now, but hopefully will not last long. From the beginning of March almost until the end of the year the global tension will also be softened by the sextile aspect between Neptune and Pluto which supports all positive and creative evolutionary innovations with the condition of the clear knowledge of goals and trends of global development and opportunities of the new era. This aspect continues (with interruptions) from 1950es – it has been already more than half a century since the intensive evolution of humanity is stimulated by sharpening of its sensitivity to the world and strengthening of its spiritual longing. This aspect lasts abnormally long – for almost 100 years in total – due to the rather elliptical orbit of Pluto and its orbital resonance with Neptune, and it happens exactly on the border between the eras of Pisces and Aquarius. During this time the progressive part of mankind is expected to accept the Teaching of Hierarchy as a guidance. It will learn the universal laws of Nature, apply them in its everyday life practice and then lead the rest of mankind. By the end of this aspect in 2040es we may expect the wide acceptance and knowledge of the Teaching of Hierarchy, appearance of progressive evolutionary social organizations and spiritual movements in big numbers, and involving into them the “critical mass” of the world population needed for the transition of mankind into the new era. Asteroid Chiro, “the Key to the Higher Sky”, which acts as a guide for human mindset from individual through collective to planetary level, will still stay in Pisces for the most of 2018. This position requires us to carefully inspect all our feelings and emotions to find and remove from them all possible occurrences and possibilities of illusions, treachery and self-distortions. However, in 2018 Chiro will already temporarily ingress into the next sign of Aries, just preparing to start its new Zodiac cycle there. This will happen between 10.5 and 26.8, therefore during summer a new wave of signs and suggestions from the surrounding world will flood us in the manner of fire. They will stimulate the improvement of our way of thinking – we should just not miss or ignore but be able to read and interpret them all in time. Saturn just entered its home sign of Capricorn and will stay there for the next 3 years, and its position is currently the strongest in the next 30 years. Saturn in Capricorn offers us such attributes as systematic approach, order, endurability, seriousness, concentration, discipline and strong orientation towards goals, but at the same time also too high demands towards ourselves and others, certain emotional coldness, strictness and even cruelty. As every planet in its strong position, Saturn in Capricorn accentuates both its positive and negative influences. It will lead systematic, disciplined and goal-oriented people who are able to think strategically and plan things in advance to realization and fulfillment of their plans and to the heights of achievements, at the same time opening new strategic goals and development perspectives before them. However, for undisciplined, irresponsible and unconcentrated people who are not able to adjust themselves to requirements of larger systems (like collective, society or mankind) it will create very strict limitations they have never seen before which will prevent them from keeping their previous lifestyle by putting those people to hard and heavy challenges that will verify if they may continue to develop further. Passing those tests of life will only be possible by collecting the experience of systematic approach, discipline and responsibility. If that would not happen, life of such people will never be happy and bright but sad and grey. Saturn in Capricorn as “the Guard of the Threshold” and “the Keeper of Time” will verify all our practical achievements against expectations of Nature and targets of the current age and lifetime. If we will not pass this exam, we will be restricted and punished, but if we will, then new possibilities and far and wide development opportunities will be opened for us instead. Saturn in Capricorn will provide us with concentration on achievements of our goals, professional ambitions, ability to work hard, endurance, serious attitude to work, ability to attain desired results slowly but constantly, organizational capabilities and, as consequence, trust of our supervisors and bosses and possible successful career growth. During this time, it is very important to agree the goals of everyone involved into any process with the goals of the whole collective and other higher-level systems (like the whole world) to achieve successful practical results. 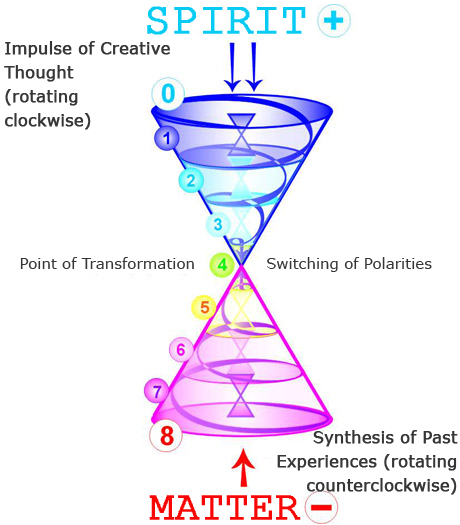 While Saturn stays in Capricorn, everyone should understand own predestination as well as predestinations of all other members of a collective to unite them all in the common collaboration and synchronize the rhythm of the process with the rhythms of higher-level systems up to the whole mankind. During the transition of Saturn through Capricorn, new rules, regulations, instructions, laws and norms, as well as new managing and control institutions will be created, for example, for planning branches of industries, and so on. Saturn in Sagittarius was still giving possibilities for certain deviations and experiments, but in Capricorn it will make everything very defined, systematic and ordered. Structures controlled by Saturn will become even more strict and conservative – it is quite probable that all alternative thinking will be limited, and the power of bureaucratic structures will grow enormously. Hard times may come also for spiritual organizations – in such hard conditions only faith in ideals, unity, mutual help, sensitivity to the needs of the others and creation of protective circles and domes of Light would help them to survive. The mission of Saturn in Capricorn is to completely “divide seeds from empty shells” and to create a structure that will serve the common evolution in the collective collaboration of the age of Aquarius. Earth is now entering the critical period of self-ordering and removing all that disturbs its evolution which is additionally supported by the position of Pluto in Capricorn. However, tests and challenges of Saturn will be rather soft and humane due to its harmonious aspects with higher planets. From mid-February to the beginning of May and then from the end of November the sextile aspect between Saturn and Neptune will fill our goals and outlooks with the highly spiritual content and stimulate us to serve the world and improve it. The knowledge of higher ideals and values will help us to create our strategic plans. Globally this aspect is related to ideologies which structure ideas and values, but since these both planets are in the process of approaching each other, the gradual and soft decline of old and outdated ideologies of the past is more probable that creation and social acceptance of new ones. The trine aspect between Saturn and Uranus that was in effect during the whole last year will appear again, although not to be exact anymore, from the beginning of June to mid-November. In the second half of the year it will complete the process of systematic, planned and gradual renewing of world vision concepts and goal orientations of mankind, including structural changes in the governments of many nations. However, it should be kept in mind that these changes will result mostly in the destruction of the current contemporary political and economic system rather than in the creation of a new one in place of it. The reason for it is the common tendency of big planets to approach each other. At the same time new scientific researches and developments will be carried out, and new principles and concepts in the economy, finances and social disciplines will be formulated. They all will help to more harmoniously adapt these branches of life to the conditions and requirements of the new age in the future. In our individual lives, this aspect will help us to see new perspectives of own development and let everybody participate in the processes of social innovations. 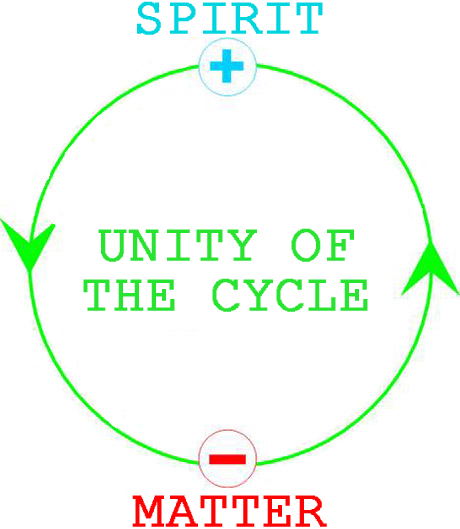 It is interesting that the mutual cycle of Saturn and Uranus is known in the modern science as the Kondratyev’s cycle that determines the economic development of mankind and change of social-economic formations. The current cycle had started in 1988 with the conjunction of these planets that launched the transition from the industrial society to the informational (or “post-industrial”) one. But starting from 2011 Saturn started to slowly approach Uranus, so that now we are in the so called “declining” phase of the current Kondratyev’s cycle. This means that we can expect the deepening of the global economic and financial crisis but at the same time building the scientific and theoretical base for the new global social-economic formation. This formation that is to be based on universal laws of Nature and principles of the collective co-ownership will replace the current “informational” one by the end of the current Kondratyev cycle about 2033. Jupiter, “the Great Fortune of the Skies”, will be in Scorpio for the most of 2018. There it initiates deep social transformations and even “cleansings” – this is the period of active and cardinal transformations in economy and politics. Most likely, during this year the deconstruction of the existing global financial system will be started, while it is still too early to talk about the creation of the new one instead of it. The most actual topic of the social life will be the crisis as such, and the main criteria of success and social recognition will be stability during transitional processes and ability to flexibly adapt to drastic changes in external conditions and to cardinally change internally, sometimes by completely giving up all past achievements and starting “from scratch”. Professional advantages will be offered to such areas where process management in critical situations is the central competence, like, for example, professions of crisis manager, or emergency and secret services. The biggest success will be given to hard and uncompromised politicians, managers, leaders and all the people who are able to unite large population masses with their ideas and lead them to transformation and even sacrificing for the achievement of common goals. Radical revision will also be happening in education, culture, social and spiritual values and international relationships. The motto “Death is the Path of the true Samurai” may be well applied to the position of Jupiter in Scorpio as it marks the period of the serious internal transformation for the whole society and everyone particularly. However, Jupiter in Scorpio brings success to everyone who takes care of own internal development and aims for enlightening, transformation of own inner reality and renewing own world vision. It gives the people sharpened sense of social justice, lack of satisfaction with the current social life, aim to destroy existing traditions and rebuild social relationships, certain social pessimism, lack of trust in authorities and potential for rebelling and destroying the harmony of social relationships, but at the same time also ability to influence the collective mindset and huge strength and power in critical situations. We may expect different kinds of accidents, massive natural and technogenic catastrophes, wars and other conflicts, but at the same time also appearance of new scientific branches on the edges of different existing ones. During this period, humanity may either descend into the depths of self-destruction or ascend to the radically higher grade of development. However, luckily, those cardinal transformations in the society will be carried out relatively gradually and painless due to harmonious aspects between Jupiter and “higher” planets. The most continuous of them will be the sextile aspect between Jupiter and Pluto which until the end of October will strongly energetically support everyone who consciously aims for the improvement and transformation of society according to the spirit and values of the new age of Aquarius. And until mid-January and then again from the beginning of April until the end of September it will be complemented to the harmonious bissextile configuration of Jupiter, Neptune and Pluto by the trine aspect between Jupiter and Neptune which will open the vision and understanding of the higher values to the society and provide all of us with the high spiritual sensitivity, soulful empathy and readiness to sacrifice ourselves in the name of higher ideals. This whole configuration will sharpen our spiritual thirst and serve as a powerful impulse for our internal development and as a guide for common humanistic values of the new age to the social life and minds of social leaders and authorities. In fact, it will allow people to harmoniously sacrifice their old and outdated values and rebuild their world vision – we will be required only to be ready to make that sacrifice, and then the way to our transformation will be opened. However, this energy may equally easily be used to achieve evil and malicious goals – for example, to manipulate minds of the masses, spiritually mislead people, create illusions or promote false values. Therefore, it is important to keep very clear mental distinction according to the criteria of truth. On 8.11 Jupiter will enter its own home Zodiac sign of Sagittarius, so its position in the end of the year will be the strongest in the last 12 years. It will open to us unique, wide and rich opportunities and possibilities of the spiritual and cultural growth, higher education, scientific and philosophical researches, far and long travels and basically any means of broadening of our minds. The end of the year will be also the best time for the leaders of the collective strategy. Every socially oriented project or activity will be highly effective, and our aiming to be recognized by the society will strengthen. However, starting from the beginning of December this inspiring and promising position of Jupiter in Sagittarius will be complicated by its square aspect with Neptune which will distort the vision of values by the society and bring illusions into the processes of study the laws of Nature by people and into the synthesis of the world culture by tempting us to step away from the right path. However, all influences caused by Jupiter in Sagittarius will be more typical rather for the next year of 2019 than 2018, so they will be covered in all details in the forecast for the following year. Influences of other planets that are closer to the Earth are not relevant in the forecast for the whole year since they are orbiting around the Sun much faster. Mars which is responsible for collective and business activities and whose orbital period is close to just 2 years, in 2018 will wander through the Zodiac signs of its synthetic, evolutionary hemisphere – from Scorpio to Pisces. It means that the level of collective and business activity during the year will be rather high but that it should be aimed mostly to serve the world and society and to improve life rather than to achieve material and financial incomes. Inner, “personal” celestial bodies that are responsible for our individual development – Sun, Mercury and Venus – complete the full Zodiac circle every year, so they collect influences and energies of all Zodiac signs during it. 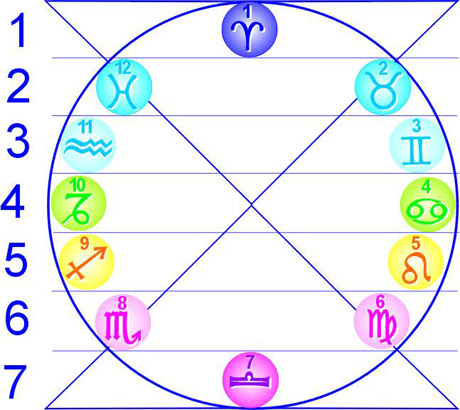 The forecast below is true for typical representatives of each Zodiac sign. It lists common trends of the year that are determined by positions of far planets (from Jupiter to Pluto) at its beginning. Pluto in the 10th house brings cardinal changes into your life. If your intentions are malicious, you may be taken away all you have achieved, and your career may be destroyed. But if you aim for progressive goals, you may be given a lot of energy and the ability to enter the new, higher level of achievements, while the scale of your influence may significantly increase. In any case, big changes are possible in your career, but would it be a rise or fall depends on how much your practical goals are aligned with the planetary evolution. Neptune in the 12th house helps you to gain the internal sense of your values, fills your inner world with love and increases your deep intuition and sensitivity. However, it may complicate the process of making conclusions by bringing lies and illusions to your experience. It all depends on your internal hierarchy of values and their alignment with common higher values of humanity. Uranus in the 1st house makes you sense all the changes related to the current switch of the eras literally on your own skin – you may be the first affected by them. You may experience entirely new and unexpected features in yourself, your behavior and lifestyle, and in the way how you express yourself personally. It is quite possible that many of you will never be the same again as before. Saturn in the 10th house puts your practical achievements to the test if they comply with your individual predestination. It means that incorrectly chosen goals that are not aligned with the plans of evolution will meet unavoidable limitations on the way of their achievement. However, you will be able to concentrate on the really highly important and forthcoming targets and projects. Jupiter in the 8th house helps you to successfully rule yourself out of stressful or critical situations in your life and to express yourself in helping others by stimulating their growth and development. Pluto in the 9th house brings significant changes into your world vision and may lead to the breakage and reconstruction of the way you see the world. Some of you may get totally disappointed in your previous principles, but if you are oriented towards the evolution, the widest spiritual horizons may be opened before you instead. You may also meet your new spiritual mentor or disciple. Neptune in the 11th house brings inspiration into your collective affairs and fills your relationships with your friends with love and soulful warmth. However, you may also get disappointed in some of them. It is important to have common thoughts and values with your friends and like-minded ones, and build honest and open relationships with them. Uranus in the 12th house makes you look at your inner world and life experience differently. You may be granted deep internal insights and discoveries and open dark and previously unexplored corners of your soul to your conscious mind. Saturn in the 9th house carefully inspects your world vision and knowledge circle and makes you more disciplined and responsible. If you are not that, you may experience limitations in your spiritual development, in your relationships with your spiritual mentors and disciples and in travelling – you may be forced to stay at home instead. But if you firmly stand on the way of the progressive evolution, your world vision may become systematic, clear and complete. Jupiter in the 7th house makes you a big authority in the eyes of your partners – they will seriously listen to your opinions and follow them. Don’t miss the good opportunity to meet your future life companion or to significantly improve your existing partnership. Pluto in the 8th house may certainly create relatively sharp and critical situations that will reveal the least pleasant sides of your nature in your life. However, these crises may force you to clean yourself from the collected negative experience and to rise again just like Phoenix from the flames. Neptune in the 10th house may delude your perspectives and lead you away from the path of achieving your goals. However, it may inspire you for important deals – your life and career may get filled with the deep and serious sense. Uranus in the 11th house may completely renew the circle of your friends, or at least fill your collective relationships with the new and more advanced content. You should move ahead in applying the collective strategy in your life. Saturn in the 8th house puts you to the difficult life examination by most certainly creating some situations that may limit your flexibility and superficiality for you. However, these tests are not just about to complicate your life but instead to teach you stability, systematic approach, inner discipline and concentration on fulfilling your plans that you may yet miss. Jupiter in the 6th house brings you success in daily and routine affairs. You may significantly improve your health and be able to change your job to the one that brings you more satisfaction and social acceptance. Pluto in the 7th house promises to cardinally reconstruct your partnership. In the worst case, when it has come to the dead end from the evolutionary point of view, you may break up with your partner or even lose him or her. However, you should remember that new opportunities always take the place of losses. In the best case, your partnership may rise to the entirely new, higher level instead. Neptune in the 9th house opens wonderful spiritual horizons before you and grants you immense creative inspiration. However, you should remember that your spiritual development path should correspond to the criteria of truth and comply with higher human values instead of leading you away from reality. Avoid possible temptations to completely hide and lose yourself in the virtual world. Uranus in the 10th house may lead you to the heights of new practical achievements. It is possible that you would want to cardinally change your profession, find a new job or take another sharp turn in your career. You should just do it with the full consciousness and by keeping future outlooks in mind. Saturn in the 7th house will verify your partnership for stability, so that some of you may experience limitations or conflicts with partners up to divorces with your beloved ones. You should be more tolerant, patient, caring and loving with your partners and learn to forgive their small weaknesses if they are dear to you in general. Remember that only partnerships united by common goals and perspectives stand the test of time. Jupiter in the 5th house grants you luck and happiness in love, personal creativity and wide social acceptance. You should express your best talents and demonstrate yourself in all your shine and beauty. Pluto in the 6th house radically transforms your everyday life by “sweeping all the dust away from your house”. Critical situations will affect your home, work and health – you should be cautious and take good care of yourself. The healthy lifestyle is exceptionally highly recommended for you. Neptune in the 8th house deepens your psychical sensitivity by focusing your attention on the need to follow higher spiritual ideals and values. However, beware of temptations to jump into sensual lust and of too extreme experiments on yourself. Uranus in the 9th house renews your world vision and actively pushes you into the future by widening of your mindset and stimulating of your spiritual growth. You may possibly meet your new spiritual mentor or new spiritual disciples, or get interested in new scientific or philosophical concepts and theories. Saturn in the 6th house may verify your life for accordance with your predestination in small details during everyday life and work. If you don’t pass this test successfully, you may experience certain limitations, especially health problems. You should seriously take care about the healthy lifestyle. Jupiter in the 4th house grants you acceptance and reward among your relatives and in your family circle. Comfort and joy may await you at home, and there you may rest at heart and gain new energy and forces to overcome the difficulties and reach for new achievements. Pluto in the 5th house strongly influences your creative activity and self-expression. It may totally take the joy of life away from you, but it may as well give you immense strength and energy – it all depends on how aligned with evolution you are. Your children may become the source of stress and crisis for you – remember that they are your spiritual mentors. Neptune in the 7th house influences your partnership. It brings many mysteries, secrets and illusions into it, but it also deepens your sensitivity towards the needs of your partners, creatively inspires your partnership and fills it with love. Uranus in the 8th house imposes a new look at your own disadvantages and imperfections and helps you to make visible all that is hidden inside your soul. You may want to turn yourself towards new and advanced psychological or spiritual practices. Saturn in the 5th house may limit your personal expression and creativity if it works against your predestination. Your children will play the role of the judges that determine your fate. You should think of your goals and outlooks in order not to find yourself in too strict frames. Jupiter in the 3rd house promises you success in communications, travels, learning and education. Your intellectual interests and your social circle may be significantly widened – you may enrich your relationships and learn a lot of new things. Pluto in the 4th house may shake your home down to the base – in the worst case, to destruction. You may change your place of residence, as well as lose some of your elder relatives. However, the new always takes the place of the old – significant positive changes are also very probable in your family life or traditions. Neptune in the 6th house brings the creative inspiration and deep sensitivity into your everyday life – routine affairs will not seem to be boring to you. However, you may have illusions regarding the state of your health – you should in no case turn towards alcohol. Uranus in the 7th house renews your partnership – you have quite a high probability to meet your future life companion. Your existing partnership may be filled with the new content and open you new opportunities never seen before. Saturn in the 4th house requires from you a lot of discipline and concentration on home and family affairs, otherwise your own home may become your jail. It is at home and inside your family circle where you should pass the exam for realization of your predestination. Jupiter in the 2nd house promises you rich and immense resources, including material and financial ones, so use these opportunities to increase your wealth. Your purchases and investments will be successful. Pluto in the 3rd house may create serious problems in communications and education for you. There may stay nothing left of your old social circle, but new acquaintances and relationships may be however even of larger scale and more effective. Neptune in the 5th house inspires your personal creativity with higher spiritual ideals, deep intuition and perception, and possibility to fully express your individual potential. It also fills your relationship with your children with love and tenderness, just be honest and open to them instead of manipulating their feelings. Uranus in the 6th house greatly renews your everyday life – from tiny details at home to the routine working processes. Many of you may get a new job, change your lifestyle or diet, as well as turn yourself towards new body-oriented practices. Saturn in the 3rd house disciplines your contacts by limiting your intellectual interests and your social circle only by areas that are useful to fulfill your predestination. All chaotic and superficial communications may be cut off, and all excessive and unneeded information may simply float away from your brain. Jupiter in the 1st house puts you to the center of social attention – you may express yourself extremely brightly, demonstrate your talents as never seen before and achieve the deserved acceptance. Use this wonderful time to express the best of you. Pluto in the 2nd house puts your incomes and resources to the stability test. In the worst case, it may literally take it all away from you, but in the best case it may magically enrich you instead to provide you with all you need for the rest of your life. It all depends on how evolutionary justified your sources of income are. In any case, you should be extremely careful in purchases and investments. Neptune in the 4th house may fill your family atmosphere and home environment with either lies and intrigues, or with care, love and harmony – it again depends on your hierarchy of values and sensitivity towards the needs of your relatives and dears. Uranus in the 5th house helps you to open new talents and abilities inside yourself and to creatively express them in your life. You may be granted breathtaking insights and discoveries. You may also find a new approach to your relationships with your children and to the ways you raise them. Saturn in the 2nd house directs your investments only towards what helps you in the realization of your predestination by disciplining the usage of your resources and incomes. Excessive spends may be strictly limited, so you should try to save money and thoughtfully invest them with the future outlooks in mind. Jupiter in the 12th house enriches your inner world and your life experience by providing you the ability to make successful conclusions and stimulating your significant spiritual growth based on your past. You may finally get awarded for your old deserved achievements. Pluto in the 1st house makes you completely transform yourself by refusing the old of you and resurrecting again as a totally new one, which is rather difficult. However, the new opportunities that are opened before you are truly limitless – you may be given so much energy that nothing will seem impossible to you as if you can really “move mountains”. Neptune in the 3rd house may bring lots of lies and illusions into your contacts and communications, so that all the information should be carefully checked for accordance to the criteria of truth. However, your communications and social relationships with different people may be filled with love and acceptance, and your intellect may be enriched with intuition. Uranus in the 4th house cardinally renews your home, family and traditions. Moving to a new place of residence or just to a new house or apartment, as well as creating a new style of relationships inside your family is very probable for you. You may experience bright insights related to your family roots and history. Saturn in the 1st house makes you literally pass the exam of your soul – it verifies how carefully your personality fulfills its predestination. If you won’t pass this exam, you may experience serious personal limitations and disappointment in yourself, but in case of success you may clearly and completely discover why you came into this life and firmly step on the path of progress and evolution. Jupiter in the 11th house makes your participation in collective projects extremely successful and helps you to become an authority in the circle of your friends and like-minded people. Success will follow your path if you create the common future with them. Pluto in the 12th house purifies your previous life experience and your inner world by destroying all the old and outdated that holds back your evolutionary progress in it. It may cause deep psychological stresses for you, so you should in no case lose your natural optimism and belief in the bright future. Neptune in the 2nd house may create material and resource temptations for you, so be mindful and cautious in your purchases and investments. However, your wealth may be increased if your sources of income are pure and your work serves high and progressive ideals and values. Uranus in the 3th house greatly renews your contacts and social life. You may be given great chances to meet new people and learn a lot of new and interesting information, so feel free to start any education. It is also quite probable that some genial ideas, insights and discoveries will come to your mind. Saturn in the 12th house makes your attitude towards your past life experience extremely serious and forces you to make appropriate conclusions from it for your future. It may set certain limitations in your inner life – even up to temporary isolation from people and environment – to make you discover your outlooks and your predestination. Jupiter in the 10th house helps you to achieve outstanding success and expected results in your life and work and to climb to the new heights of your career. Your goals may be achieved without stress, and results may exceed all expectations, so feel free to start any important and useful affairs and projects. Pluto in the 11th house strongly influences your relationships with collectives, friends and like-minded people. You may leave the collectives where there is no place for you from the evolutionary point of view, but may get a chance to enter the new ones instead. It is also possible that you break up with some of your friends, but don’t be sad – it means that they may not play a positive role in your life anymore. Instead, you may soon meet new, closer and more faithful friends. Neptune in the 1st house makes you, who are already deep and sensitive by nature, even more intuitive and enlightened. The main thing for you is not to drawn into temptations of your own perfectness and not to disconnect yourself from the reality, but instead to learn to use your gifts of love, empathy and spiritual healing for helping other people that need them. Uranus in the 2nd house cardinally changes your approach to your resource management. This means that many of you may find new sources of income, especially from progressive and collective projects and works, but also new ways of investments that are stimulating your growth and development. Saturn in the 11th house makes you precise, disciplined and serious in your collective relationships and excludes chaos and irresponsibility while executing your duties. It also verifies and limits the circle of your friends and like-minded ones by leaving next to you only those people who really have the common path with you – the ones who may be able to help you in realizing your predestination, and the ones whom you can help. Jupiter in the 9th house significantly widens your world view – you may revise your life values and advance far ahead on the path of your spiritual growth. Your authority in philosophy, culture and education will be as high as never been before, so use this time to pass your experience to your potential disciples. We wish you creative achievements in carrying out your predestinations!